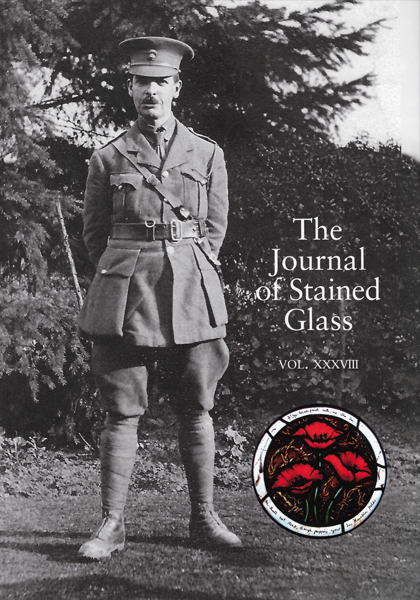 Celebrating its 90th year of publication, this issue also commemorates the WW1 Centenary with a cover article by Peter Cormack on stained glass artist Hugh Arnold (1872-1915), whose distinguished career was cut short at Gallipolli. Historical articles cover the extensive Yorkshire legacy of Belgian artist Jean-Baptiste Capronnier (1814-1891) and the expressive impact of early 20th-century German stained glass in Pittsburgh. The powerful stained glass of Holocaust survivor Roman Halter is traced, as well as an enticing road trip through France highlighting the variety of techniques and imagery adopted by contemporary glass artists. A rich portfolio of new work by Fellows and Associates this year is complemented by an Olympic commission for Coventry exploring the journey of Lady Godiva and by a well-illustrated analysis of the techniques and history of acid-etching. An insightful guest editorial on stained glass education from Rachel Phillips, tutor at Swansea College of Art, University of Wales Trinity St David exhorts every reader to take up the challenge in these difficult times of furthering all aspects of stained glass!